To inquire more about The Center for Interdisciplinary Studies, visit Sara Compion, Ph.D. in her office in the Maxine and Jack Lane Center for Academic Success, Room 409. 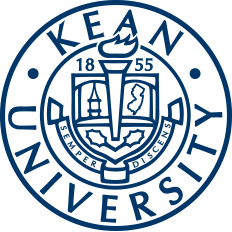 The Center for Interdisciplinary Studies at Kean University was created in 2016 at the initiative of Associate Provost Suzanne Bousquet, Ph.D. Its mission was "to engage faculty and students in coming together in the spirit of intellectual curiosity and creative adventure to advance interdisciplinary methods, theories and practices for a global-oriented world". The outstanding staff and faculty members that enrich this center include but are not limited to Director Sara Compion, Ph.D., Consuelo Bonillas, Ph.D., Nazih Richiani, Ph.D., Dennis Klein, Ph.D., James Conyers, Ph.D., Xurong Kong, Ph.D. and Lisia Aikens. The Center for Interdisciplinary Studies offers a bachelor's degrees in global studies, and minors in Africana studies, Asian studies, Chinese studies, Jewish studies and world affairs, Latin American atudies and women's and gender studies. To have a background in interdisciplinary studies means that you have more career options, such as in businesses, government agencies, foreign service, nonprofits, journalism, consulting firms and the educational sector. There is also always the option to go on to pursue post-graduate degrees. Check out the list of IDS courses such as leisure and recreation in a multicultural society, human exceptionality, introduction to women's studies, and more here. Sara Compion, Ph.D, gave credit to Kean University as one of the first in the state of New Jersey to have an interdisciplinary studies center, and the first to have a global studies baccalaureate program. 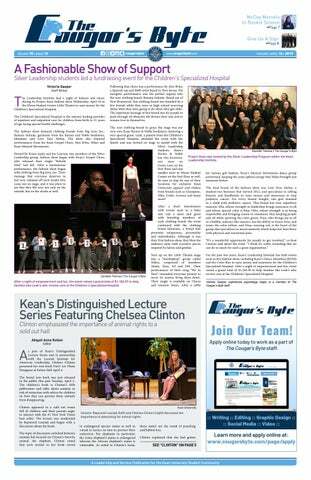 With some of those programs across New Jersey birthed out of the scientific or political fields, Kean finds its voice as one of the only liberal arts-based centers. "My favorite part of working in the department has to be building new programs and creating environments for those programs, but more importantly for our students to thrive," said Compion. Since the world is more connected, Compion emphasized that students need to learn to be innovative and creative to find their own space in the world. The main way to do this would be to start thinking in an interdisciplinary or interconnected way "to be outside the limits of their own boundaries to find their potential." Compion calls for students to use IDS to become more innovative, creative and flexible to create their own destiny. The global studies program, where Compion, teaches courses, focuses on factors that shape the rapid flow of goods and people, and helps students understand that "there are interconnected layers that make globalization what it is today versus what it was in the mercantile era." She stresses the flow of not only goods and people but also of relationships and ideas through technology in our society. Students can also incorporate foreign language, unique travel learn opportunities and internships into their program. Here, students from the department of Global Studies arrived in South Africa for a travel learn trip. There are many research trips and travel learn opportunities, such as the global studies program’s' recent trip to South Africa. Here, they not only studied Nelson Mandela Day, but they also worked hands on with African students providing out-of-the-box thinking that helps make students more flexible in an interdisciplinary world. This Center also encourages study abroad programs at Wenzhou-Kean Campus for a whole semester. There are trips to Asia and another trip to South Africa currently in the works, as well as the development of a few other minors and courses, so be sure to be on the lookout for them in the coming semesters on IDS's social media and web page. Compion urges students "to be innovators and creators of their own career path." She also wants students in the liberal arts to build up the following skills: effective communication across different platforms and media, but more importantly, the ability to take a lot of information and synthesize it. She stressed the following traits when it comes to being flexible: "analysis, synthesis, critical thinking and the ability to communicate and interpret information for a spectrum of audiences." Also, it's important to remember that IDS is more than just its programs. "Interdisciplinarity is a way of thinking," Compion said. "What we really want to do is promote this way of thinking in the classroom, but also with doing research." The more research is done, the more outdated ways of thinking can be disestablished and replaced with more accurate perspectives. This progressive way of thinking is left up to college students of the future to stand up and use their unique voices as instruments of change. Center for Interdisciplinary Studies Director Sara Compion, Ph.D. (left), and Viva Foundation founder Meleney Kriel on Kean's campus. "It's made up of all the different trees—each discipline—individually standing there, rooted and foundational, and although each tree is a different kind, they weave together at the canopy to cover and protect the undergrowth. Interdisciplinarity is the integrated canopy, supported by different disciplines, but a new holistic entity bigger than the sum of its parts. " said Compion. Students can get involved in one of the lively cultural clubs and interdisciplinary associations on campus, such as Jewish Hillel, the United Nations Association, the Chinese Table Discussion Group and the Women's and Gender Studies Student Association. You can also attend on-campus lectures by special guest speakers. The Center for Interdisciplinary Studies is co-sponsoring an event titled Governing Disaster in Urban Environments: Climate Change Preparation and Adaption after Hurricane Sandy. The presentation will be done by Julia Nevarez, a sociology professor, Wednesday, April 10, 3:20 to 4:20 p.m. The event will be held in the Human Rights Institute, Room 207. To RSVP for this event and receive any pre-readings, students can email Dominique Reminick at reminicd@kean.edu. Be sure to follow IDS on Instagram and Twitter to stay informed about any more important events happening before the spring semester comes to a close. With such an extensive program, there are opportunities for everyone to fit in and find their niche. To inquire about what the Center for Interdisciplinary Studies at Kean has to offer and to learn more about all of its personalized programs, contact Compion at scompion@kean.edu, or request information directly from the the center's web page.